Electrical Power Sector - Nafjan Group - Nafjan Trading and Contracting Company, Dammam, Saudi Arabia, Power Distribution; Water & Sewerage Networking; Telecommunications and Data Processing with the best Engineering Designs, Installation. Testing & Commissioning, one stop shop for genuine Electrical, Telecommunications, Mechanical and Electromechanical goods. 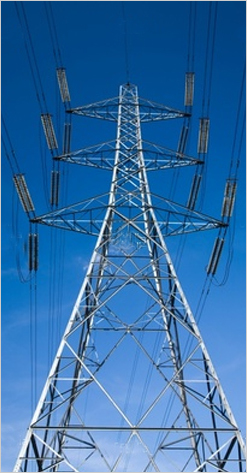 NE provides most of its clients in Electrical & Power sector with Engineering, Design, Install, Test & Commissioning of 69KV Underground Transmission System along with Fiber Optic Cables. 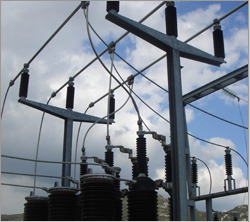 Supply, Install, Test & Commissioning of Distribution Systems involving Transformers, Ringmain units, Medium Voltage Switchgears - associated Protective Gears, Cables of all kinds and types, Splicing Terminations of Cables up to 33KV class. Supply, Install, Test & Commissioning of 1.1KV Systems including Industrial, Commercial, Residential and Domestic Electrification. Installed over 1000 Transformers, total capacity 500 MW along with medium voltage Switchgears and low voltage Switchgear. Installed over 500 kilometers of medium voltage cables of different types. Splicing/Termination of the above noted cables over 10,000 each. Installed low voltage distribution cables along with Switchgears, Overhead and Underground over 1000 Kilometers. Installed 34 kilometers of 69KV Underground Transmission System along with Fiber Optic Communication System.